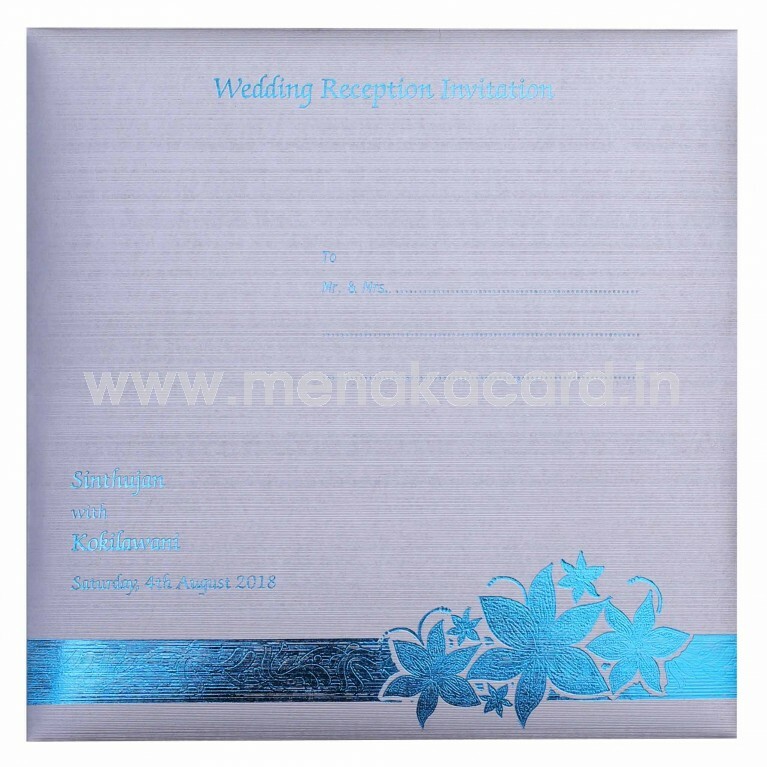 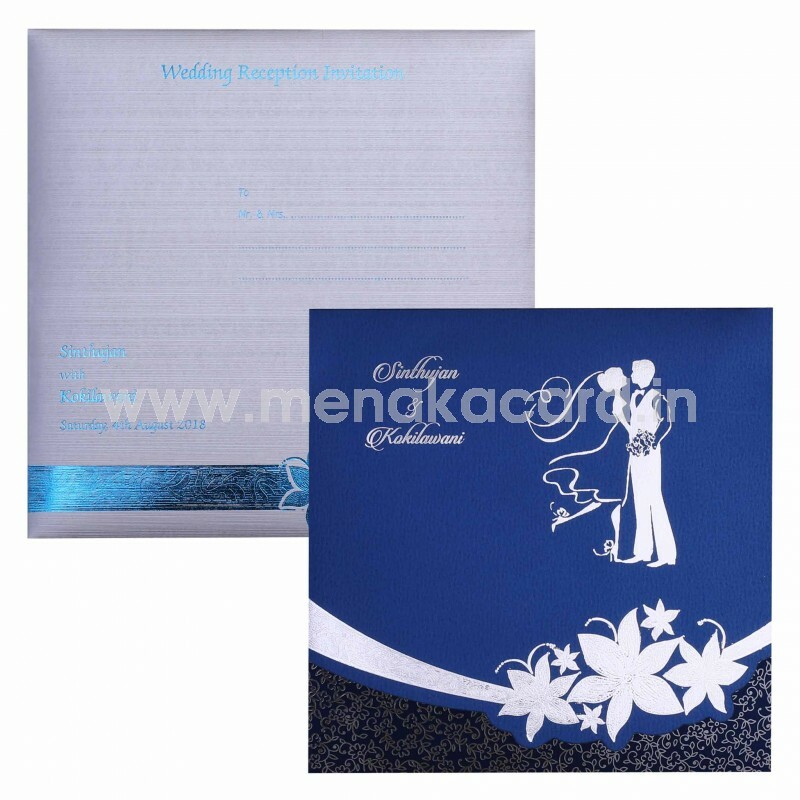 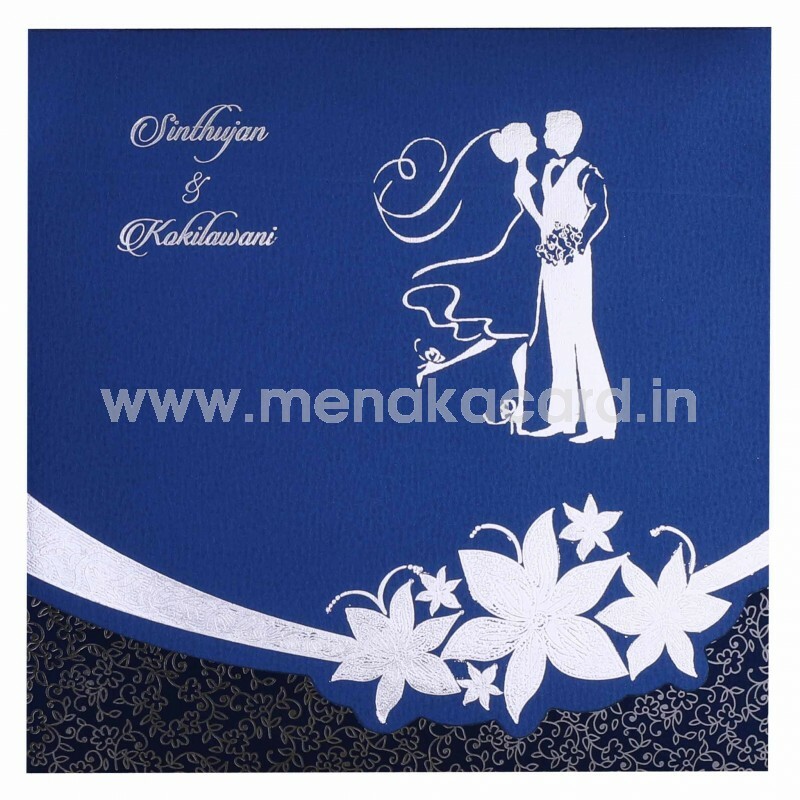 This Attractive Royal blue and silver card has a die-cut floral border with the image of a couple’s silhouette in silver foil and fine floral patterns on the lower flap. 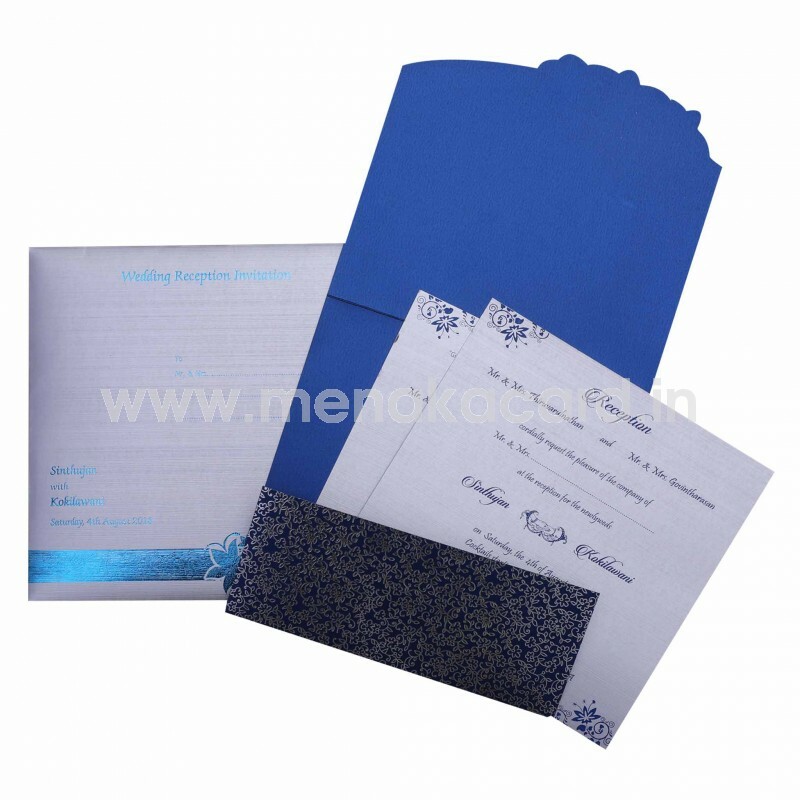 This Card is made from a royal blue shimmer board and has two inserts in silver from a knurled shimmer board material. The silver envelope matches the floral pattern on the front of the card. This Christian wedding card has also been used for inviting friends, engagements and receptions. This can be made in maroon and gold as well.